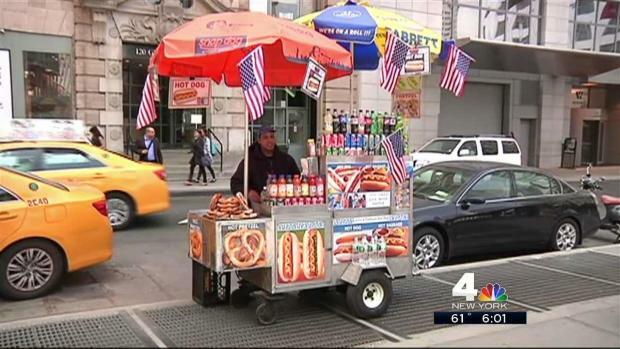 The hot dog vendor exposed by the NBC 4 New York I-Team for selling outrageously overpriced food to visitors and tourists near ground zero has been fired, the cart owner says. Abdelalim Abdelbaky told NBC 4 New York Thursday that he fired Ahmed Mohammed after watching the report. He's now manning the cart himself. He said he's embarrassed after Mohammed was caught on camera hawking hot dogs for up to $30 and pretzels for $15. In some cases, he short-changed customers on their change after overcharging them. The Alliance for Downtown New York learned about Mohammed when fights started breaking out last week over his prices. Ron Wolfgang, who is in charge of security for the Alliance, said, there have been "five times since May 13 where we've observed altercations on the street over the prices being charged for hot dogs, pretzels, water, soda." Customer after customer recounted to NBC 4 New York Tuesday how the vendor tried to charge them $20 to $30 for a hot dog. "I said, 'What are you, a crook?'" David said after Mohammed tried to charge him $15 for a hot dog and a pretzel. "I'm not a tourist, so I know the price in New York." One woman said, "I just felt like I was getting ripped off, and it's just making the 9/11 grounds like a big tourist trap." NBC 4 New York's report sparked a city investigation into Mohammed and the stand. Department of Consumer Affairs regulations require food vendors to post prices on their stands. Meet Ahmed Mohammed. He might be the most expensive hot dog vendor in New York, especially if he thinks you're a tourist. Melissa Russo has the exclusive report. 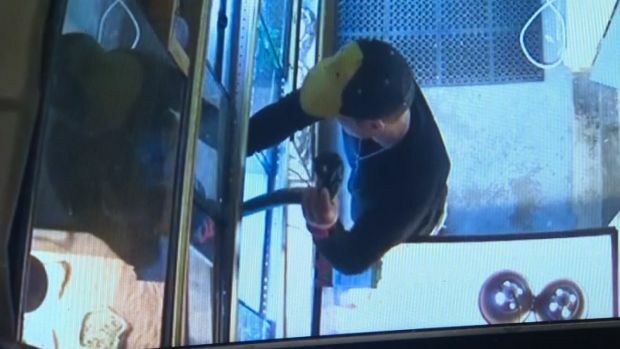 Abdelbaky said he was giving out free pretzels to customers Thursday in an effort to win them back. Some prices have now been posted on the cart: a hot dog is $2.50, and two hot dogs and a water cost $3.99. City Council sources said it's not truly illegal to not post prices on a food stand -- just a violation of Department of Consumer Affairs regulations. Police issued Mohammed summonses for failing to list his prices and for two Environmental Control Board violations. Councilwoman Karen Koslowitz said she's introduced a bill to make it a law, which would come with stiffer punishments, like a revocation of license. "As I was watching it, I was outraged," she said of NBC 4 New York's report. "First with his attitude, and with the gall." "Nothing's being done," she said regarding inspections or violations enforcement against vendors who take advantage of tourists. She said her bill would legally require all food vendors post their prices.